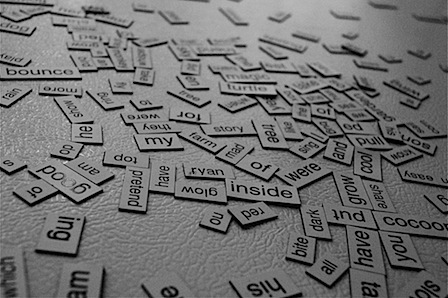 After the boys discovered the box of magnetic words, little-boy-giggles were heard in my kitchen for nearly an hour as they pieced together nonsensical sentences. Giggles turned to squeals as the words all fell to the floor. The picture above is THEIR idea of cleaned up. Currently, it’s MY idea of cleaned up too. Early Monday morning, a friend of mine lost her battle with stomach cancer. Her fight had its ups and downs over a period of several years but, through it all, she remained positive. She was amazing that way. At the 1st of two services, story after story reflected upon this positivity and fierceness which she lived and breathed throughout the whole of her life on earth. I laughed, and I cried, and I remembered her beautiful way of living. When her other half stood up and spoke of the huge hole left behind, the pull to just give up, and the fight required to go on, I remembered feeling that way too. If only I’d remembered to bring along some kleenex.